Worcester's airport is small, but it has big hopes for the future. But will flights to New York and Philadelphia be enough? Excitement is building at Worcester Regional Airport as JetBlue’s direct flights to JFK start Thursday, followed by American Airlines flights to Philadelphia in the fall. As a high altitude/low visibility airport, Worcester had been limited in the past with two flights daily to Orlando and Ft. Lauderdale, that were sometimes diverted due to fog. But more than $100 million dollars in investments from MassPort since it took over the airport from the city in 2010 – including the addition of a Category III landing system – is a potential game-changer. 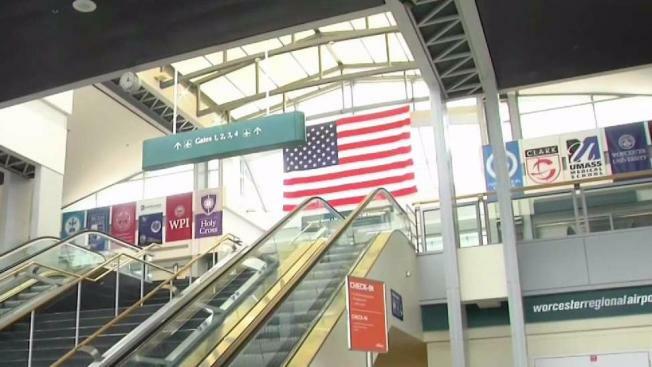 Even though the airport is still losing millions of dollars, experts think the future is bright for Worcester Regional Airport. Worcester Regional Chamber of Commerce President and CEO Tim Murray says he believes as other airlines see the success they will want to compete in the Worcester market, too. And that first flight to JFK will take off at 6 a.m. Thursday with a small ceremony at the airport to celebrate.